I love salads, especially for spring and summer meals. One of my favorite parts of a salad is the dressing that ties it all together. 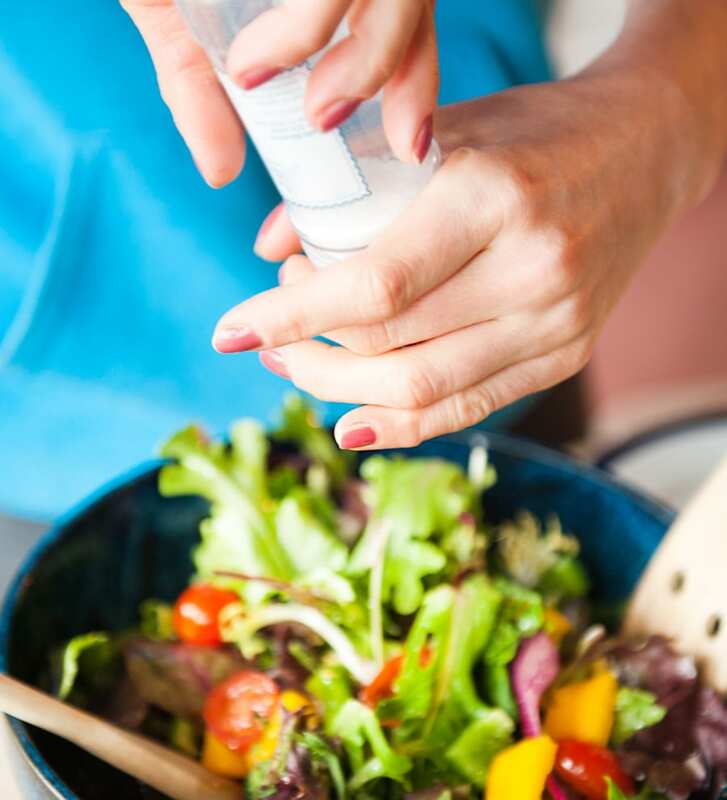 But since most store-bought dressings are loaded with calories, they can quickly turn my healthy meal into the equivalent of a happy meal. What’s a girl to do? Introducing: no-dressing pressed vegetable salads! This flavorful alternative allows me to still have my greens guilt-free. And once you see how super easy it is to prepare, you’ll be adding it to your meal rotations like I did. First, you’ll need to decide what you want to put in your salad. Use kale, kohlrabi, cabbage, turnips, red onions, and whatever other veggies catch your eye. Slice, grate, or shave your chosen ingredients into a bowl. You’ll want to make sure you slice the veggies as thinly as you can — the smaller the pieces, the better they break down for the later steps. Now you’ll want to add a little flavor. All you need, believe it or not, is a dash of salt. You only need to use about one teaspoon of sea salt per eight cups of veggies. Make sure the vegetables are evenly coated before moving on to the next step. Here comes the part where you give me funny looks and question my sanity. I promise, this works! Now that your veggies are coated with a thin layer of salt, you’ll want to get that salt evenly distributed. 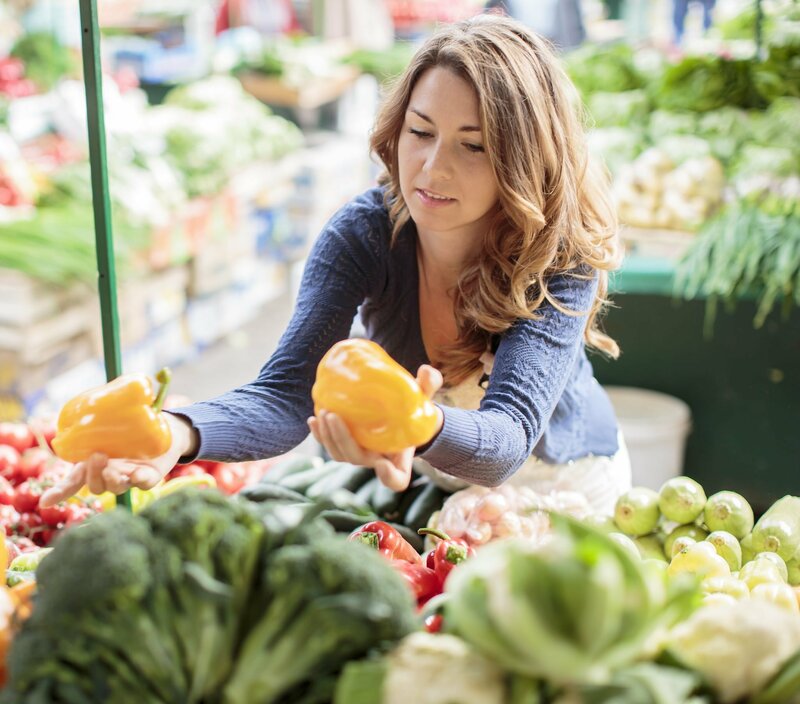 The best way to do that is to gently massage or squeeze it into your veggies. You’ll want to massage the veggies until they are “bendy” and pliable. Don’t squeeze too hard, though — you don’t want a pile of crushed produce in your bowl. Our salad is ready to eat! Well, almost. Now you’re going to want to add weight to your veggies. 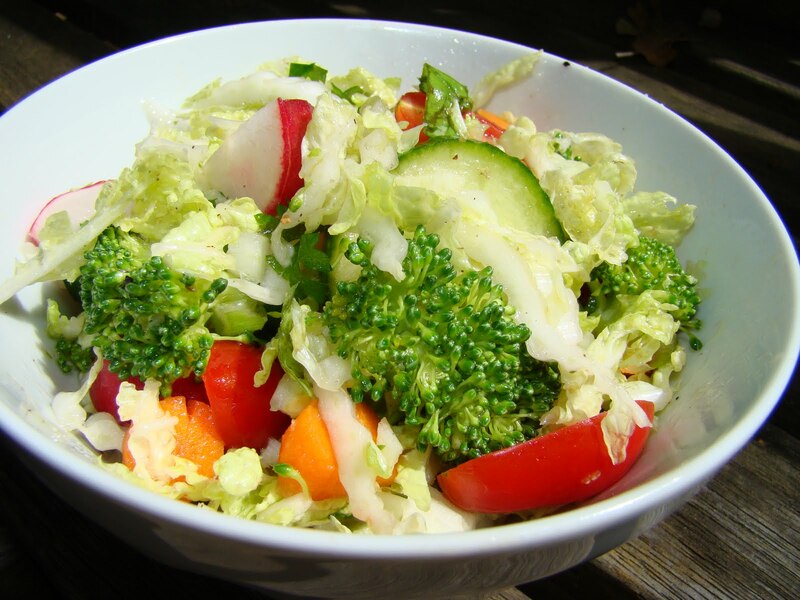 Place a small plate or bowl on top of the veggies in your larger bowl. As many veggies as possible should be touching this. Then, add something heavy atop the small plate or bowl — a bag of rice, a Mason jar, or a large carafe. If you don’t have anything you can really use to weight it down, that’s okay. You’ll just need to let your salad sit longer and be a bit more patient with it. Once your veggies are settled with their weight, you’ll want to give them some time to sit. The weight will act to press your salad together. You’ll need to leave them to sit for at least half an hour or up to three hours total. Now your salad is finally ready! 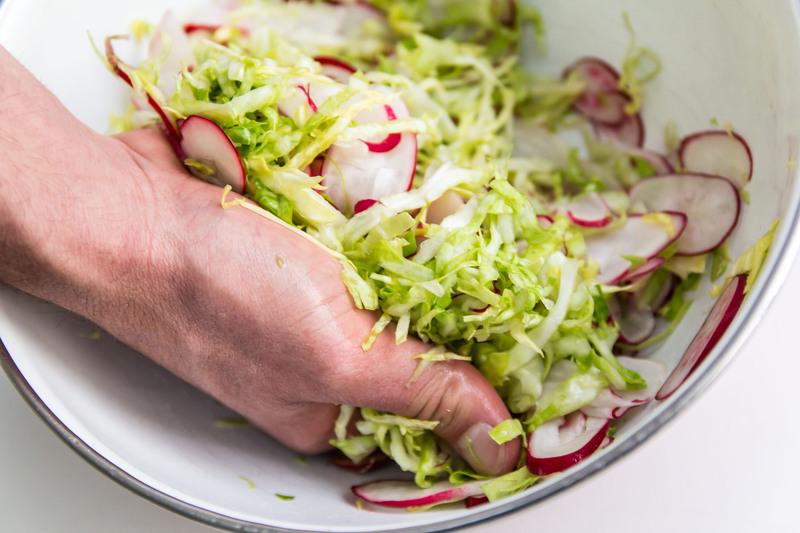 Pull the weight off, remove the smaller plate, and drain the excess liquid and salt from your salad. Then, grab a fork and dig in! 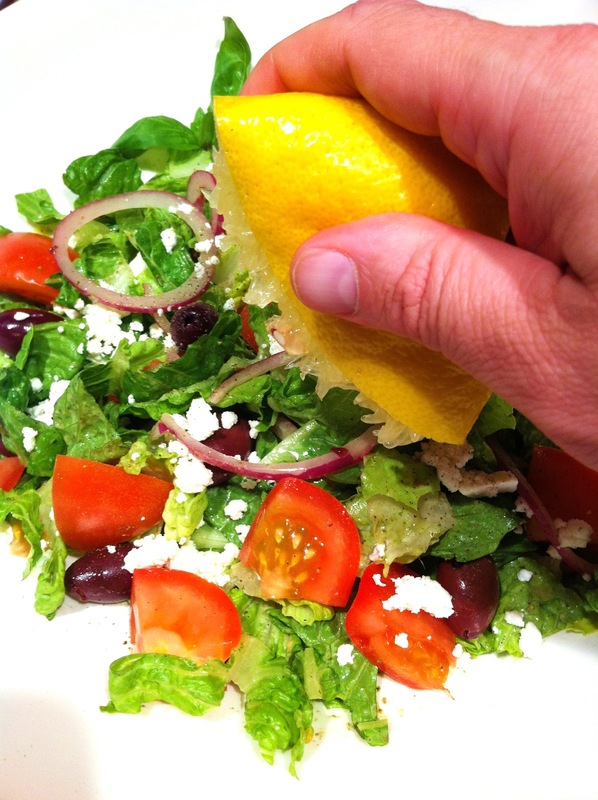 If you find that your salad is still a tad too salty, simply rinse the veggies off in some cool water. You can serve with a little vinegar as well, but it’s not entirely necessary. Is salt not really your thing? Perhaps you’re on a low-sodium diet. You can still enjoy a pressed salad without salt. Just sprinkle lemon juice, use other spices, or add a splash of vinegar in place of salt. If you use tasty enough veggie combinations, you may not need anything at all added to it. Don’t be afraid to experiment with your salad ideas to find the perfect arrangement for you. Eating healthy doesn’t have to mean eating bland meals. A salad never needs to be boring, and with a pressed vegetable salad, it never will be. You can make almost any combination of salad this way, and even try combinations you would never have thought of before. Have you ever tried a pressed salad? What did you think of it? Share your recipes with us in the comments below, and don’t forget to share these with your family and friends.